Thank you Yup for sponsoring this post. Provide your child with instant homework help, 24/7 and get homework done! 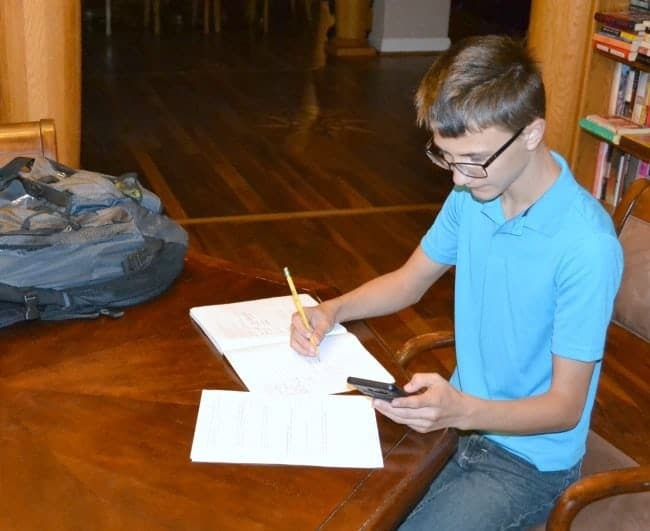 Does your teen come to you for homework help late at night? Do you find yourself too tired, and perhaps too many years from your last algebra class, to be any help? If this sounds familiar, I’ve found something that you’re going to love! As a proud mom, I’m happy to report that at least half of my children have gotten so smart, I can no longer easily help them with their homework. The downside, of course, is that their challenging courses and busy schedules mean they need on demand homework help. Often, my kids don’t realize they’re struggling with a concept until they reach a problem in their homework that they can’t figure out how to solve.Almost always, this is a math or science problem that their English/Business major mom and History/Music major dad are ill-equipped to tackle. It’s a small miracle we created so many future engineers. So, my kids aren’t struggling so much that I need to find a regular tutor, but they still sometimes need help with their homework. And depending on if they had a game or event that day, sometimes they need that help at 10 or 11 pm. Before I go any further, I have to point out to any new readers here that I RARELY publish product reviews. When there are products or services I think help solve a problem, I usually lump them into a comprehensive list of all the different ways to solve that problem. I was stumped on this homework problem. And so far, I’ve only found ONE solution besides calling my older son who’s a junior in college (studying engineering) to help my high schoolers with their math and science homework. That solution was Yup and I’m going to spend the rest of this post telling you why it’s the perfect answer to your teen’s homework problems. Trust me, by the end, you’re going to wish you’d found this post sooner. Right away I was excited about Yup because it’s homework help in the medium my teens use the most – it’s an app. Even better, it’s available for both iPhones and Androids so all of my teens can use it. Because it’s an app, they can access it whenever they need it. When my son gets home a wrestling meet at 10, showers, then finds himself stumped on a chemistry problem an hour later, he has reliable help in seconds. It’s affordable. You get your first 30 minutes free to try it out. Use code LEARNINGS to get 30 free minutes without providing a credit card. When you realize, like I did, that this is the answer to all your family’s homework frustration, For $7/month you get 20 minutes of tutoring. If your child needs more help, you can pay for extra time at an hourly rate that’s comparable to in-home tutoring rates in my area (with the added benefit of being available the minute your child needs the help). If your teen is really struggling with a subject, you can sign up for a more comprehensive plan. Again, you get a free 30 minute trial. After that, it’s $75 for UNLIMITED tutoring. Yup even gives you the opportunity to earn free tutoring time, just by telling your friends about the app. You get 60 minutes of free tutoring every time a friend signs up using your code. 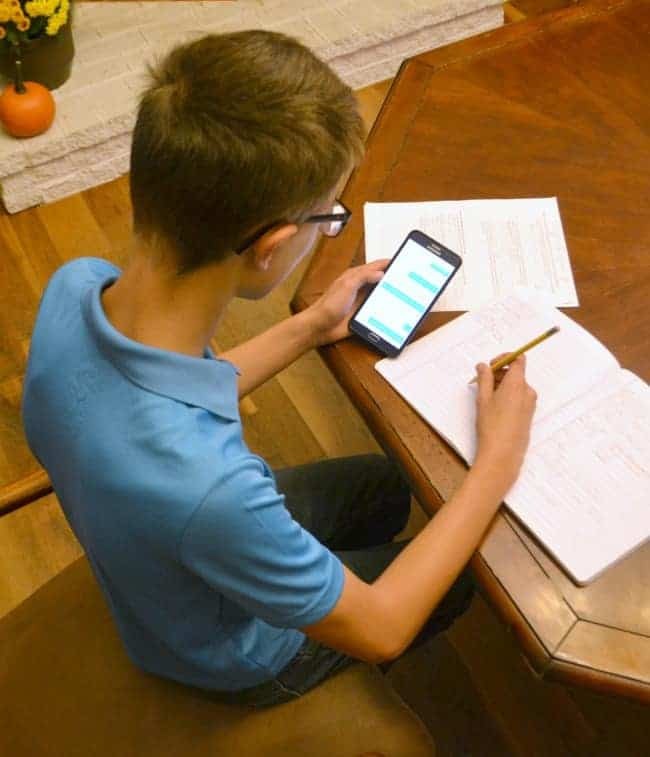 Of course, no matter how much your kids love apps, Yup is no good if it doesn’t actually help your teens do their homework, right? If you’re like me, you’re probably wondering how a homework helper app even works! Is it the same as just doing an internet search for a similar problem? No! The way my son explains it, it’s like joining a one-on-one online chat (he said “DM,” short for direct message) with a teacher. 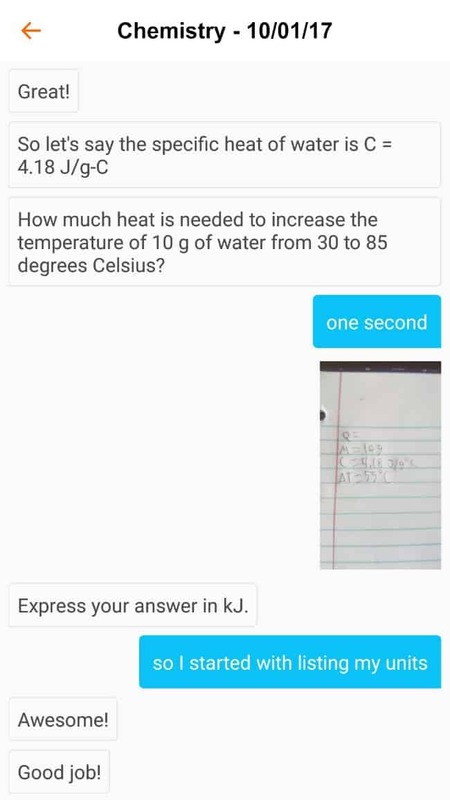 He opens the app, takes a picture of his homework problem, selects the subject (Math, Chemistry, or Physics) and requests help. Soon, a tutor joins him. After the tutor guides him through the process, he makes sure that the student really understands it by posing a similar, but new question. As the person footing the bill, I watched my son’s first session to make sure the tutor wasn’t putting him on hold, asking too many unnecessary questions or just taking longer than was required. On the contrary, he was very efficient and replied immediately each time my son posted a question or response. And as a perhaps over-protective mom, I also had my son use my phone at first so the account was in my name. I didn’t want a stranger out there with my son’s information. That is how I came to discover something else about Yup that sealed my trust and faith in the app. This arrived the day after my son’s first time using the app. 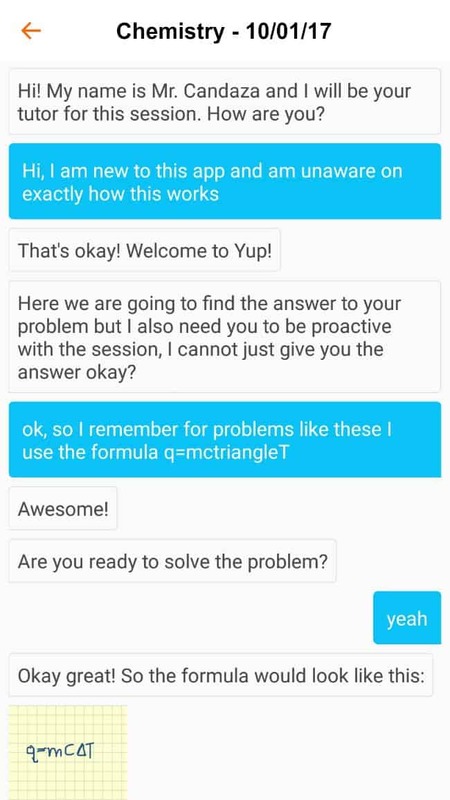 When he first tried to use it, his session started but then immediately ended before either he or the tutor exchanged messages. Since Yup asks you to thumbs up or thumbs down each experience (neutral isn’t an option), he gave it a thumbs down. I’m a huge fan of companies that strive for excellent customer service. Sure, this was just a text message, but it was timely, polite, and seeking honest feedback to help Yup do better in the future. Big thumbs up from me! Yup is a major game changer for my family and I think it will be for yours too. Ready to provide your teens with on demand homework help? Great! First, download Yup to your (or your teen’s) phone. Then use promo code LEARNINGS to get 30 free minutes of Yup tutoring (no credit card required!). I’d love for you to come back and tell me in the comments below if you find it as helpful as I did.